Grandparenting from a distance can be a challenge. Being a long-distance grandparent can be a challenge, but with the right attitude and my time-tested ideas, you can build a meaningful bond with your grandchildren. Don’t let the fear of distance keep you from relocating, or on the flip-side, retiring in place. As discussed in our article “What Type of Grandparent are You”, we propose that a Rebel Retiree follow the path with a heart, live the life of their dreams, and not use the grandparent card to determine where to live in retirement. Consider this report from AARP ; approximately 50 percent of grandparents live more than 200 miles from their grandchildren. For some of us, that may seem close, for others, 200 miles is a great distance. Regardless of your perception of how far or near, there is a large number of long-distance grandparents. Being a long-distance grandparent may be more common than you think. For me, moving thousands of miles away from the place my spouse and I called home was a dream come true. City life no longer held its appeal and we were ready to embark on a new adventure in a small town. Three of our children were married with families of their own, two of them already living a great distance from us. Therefore, I was already gaining experience as a long-distance grandma. It was difficult saying goodbye to my son and his family. Our moving put over 2,000 miles between us. He had 2 little ones at the time and I didn’t know if I would ever see them in person again. However, I knew that moving would be a worthwhile endeavor. Having embraced every delicious moment of my new life has resulted in my becoming a more interesting granny. Yes, there are times when I am sad about the number of miles between my grandchildren and me. I have missed birthday parties, sporting events, and other special occasions. I have worried about making meaningful connections and establishing bonds with my grandchildren. Nevertheless, I know that worrying gets me nowhere and my efforts are better put to use in being the best long-distance grandparent that I can be. With that being said, I encourage you to trust yourself, be yourself, and be the best long-distance grandparent that you can be. Following are my best time-tested ideas for building a bond with your grandchildren. They will make memories and help you build a lasting relationship with your long-distance grandchildren. Three letter writing ideas to “wow” your grandchildren. In this day and age of instant communication, it’s a thrill to open your mailbox and receive a piece of snail mail. Surprise a grandchild with a special letter, and let the bonding begin! Want to score extra points? Enclose small items, stickers, or a drawing that you made yourself. You’ll need to initiate the letter writing process and I encourage you to set a goal for yourself. Perhaps writing one letter a week will work for you. Tell stories about your own childhood, ask questions that make your grandchild think, or share interesting facts about the place where you live. Be creative and think out of the box. I am a summer to-do list-maker. One summer, I challenged myself to send a letter a week. Although my grandchildren took vacations, went to summer camp, and always seemed busy, I kept in touch with them all season long. It was a wonderful experience of sharing and learning about each other. I received many replies, but I caution you not to expect it. Letter writing may be too difficult for the younger set, while some of the older grands may have little interest in letter correspondence. Despite that, it doesn’t mean your letter didn’t make an impact. 1. The mystery letter builds suspense. First – write a simple, one-page letter. A large sheet of paper works best. Second – cut the letter into 3 pieces, like a jigsaw puzzle. Put one piece of the letter into an envelope. It doesn’t matter if it is the closing of your letter, the middle, or the beginning. Mix it up and have fun. It’s all about creating suspense for the recipient of your letter. I recommend writing “Part 1 of 3” on the back of the envelope to alert your grandchild and their parents that this is part of a series of letters. Third – mail the letter with one piece enclosed and save the other pieces to be mailed on day 2 and 3. When all of the pieces arrive, the letter is complete! 2. The survey letter helps you get to know your grandchild better. Embark on a journey of discovery with a survey letter. Learn about your grandchild’s likes and dislikes with a short questionnaire. The survey letter relieves you and your grandchild of the awkward 3rd-degree conversations that may arise with phone calls. 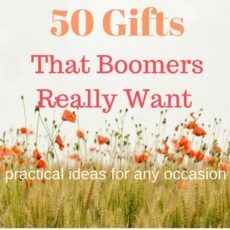 Instead of your little one being put on the spot and having to come up with answers for a curious grandma or grandpa, a survey letter affords them the space to answer, in, and on their own time. A survey letter encourages your grandchild to share more with you. Here’s a sample of how to write a survey letter. 2. If yes, what do you find creepy about them? 3. If no, what do you like about spiders? _____They can crawl upside down. Remember to introduce your letter and share some of your personal thoughts on the topic. Give instructions on how to show their answers by circling, underlining, etc. Ask them to return the survey to you. 3. The postcard makes it easy to bond. Sending a postcard from a faraway place never goes out of style. They are fun to send and a pleasure to receive. Encourage your grandchildren to send postcards to you when they are out of town. For the long-distance grandparent, letter writing encourages creativity and builds memorable and meaningful relationships. Telephone call ideas so you can have fun and hear each other’s voice. There is a lot to be said about the sound of someone’s voice, and the soothing, forceful, or cranky tone of a grandparent can say a lot to a grandchild. Grandchildren who talk to their grandparents over the phone benefit by developing social skills while also learning about their grandparent’s personality. If you or your grandchild aren’t the chatty types, playing games over the phone can help alleviate the gap of silence. Who put the Dot – Although better played in person, “Who Put the Dot” can turn a 15-minute phone chat with a grandchild into a successful long-distance play time. You will need a bit of imagination. First, form an image in your mind of drawing a circle on your grandchild’s back. Ask them to listen carefully, while you draw a circle with your finger. Very slowly say “Round, round the circle, who puts the dot”? At this point, select one of your fingers as the digit that puts the dot on your grandchild’s back. Now, ask which finger put the dot. If answered correctly, it becomes your grandchild’s turn to draw the circle and put the dot. No cheating for the sake of being kind to your grandchild. If they don’t guess correctly, they will eventually. And when it becomes their turn, you may be the one losing the guesses. Do we Have – Remember the game “I See Something”, or “I Spy”, as it’s commonly known? With a simple modification, this game becomes “Do We Have” for the long-distance grandparent. Start by asking a question about something you have in your home. For instance, you might ask, “Do we have a brown sofa?” The grandchild answers yes or no. Depending on the accuracy, it becomes their turn or remains yours. You get the idea. You will be surprised at how much kids enjoy this simple over-the-telephone game. Good phone skills are necessary, but telephone time can also be playtime. Modern technology ideas for kids of all ages. With the help of modern technology, long-distance grandparents can stay in touch through various means. Connecting by video, texts, and other social media, boomers can immediately share experiences and develop special bonds with our grandchildren. Programs and apps like Skype, Google Hangouts, and FaceTime enable long-distance grandparents to satisfy their wish to see grandchildren in action. You may not be able to kiss and squeeze them, but it’s the next best thing to being there. Gesturing and facial expressions communicate emotion. Both grandparent and grandchild can convey a myriad of feelings through video calls. Webcams make it possible to attend long-distance birthday parties and holiday gatherings. Consider a weekly book club get-together where you read to your grandchild and your grandchild reads to you. If your video chat gets boring, wrap it up. It’s always better to leave them wanting more, than wanting less. Cement your long-distance grandparent relationship with video chats. You’ll definitely experience a familiarity when you finally do get to see your grandchild. Don’t shy away from texting. Be cool. It doesn’t matter if you are a spaz with a keyboard, you will be a much cooler grandparent if you let your fingers do the talking. There are many ways to send text messages; Facebook Messenger, Google Hangouts, Skype Chat, and of course through your phone. As text messaging is one of the most common forms of communication with the younger crowd, you would be an idiot not to try to connect with them this way. I would say it is by far one of the easiest methods to reach your grandchildren. If you think, read, or see something that reminds you of your grandchild, share it. One of the best ways to show your love for them is to remember what they are interested in. There are lots of ways to be cool that don’t include doing a headstand. Think of sharing awesome pictures of sunsets, or a shot of the scenery while hiking or biking. Everyday experiences are fun to share as well. Why not show the cookies you’ve baked, the dead mouse the cat dragged in, or the colorful produce department at your local grocery store. All-New Fire HD 8 Tablet with Alexa, 8″ HD Display, 32 GB, Punch Red – with Special Offers – Buy Now! Facebook is a most excellent means of bridging the gap and keeping in touch with your grandchildren. It isn’t necessary to speak to them directly on Facebook. Share things that interest you, and look at what they share in order to get to know them better. Don’t write in ALL CAPS. That means you’re shouting, and makes you look tech-no. Some older men do this, and it is very uncool. Don’t get too personal. That could be embarrassing. Facebook is a public forum, so keep it chill. This idea is not always possible, but it’s worthwhile looking into. If your grandchild participates in a competition, for example, playing volleyball in a school gymnasium, the school may record the activity for their own use. If so, you may be able to stream it live through your computer by logging on to their website. Although the quality was not the best while streaming a volleyball tournament from Alaska, I had a front row seat to watch my granddaughter’s game. That was important to me and made watching the low-quality video worth it! Communication is the key to successful long-distance grandparenting. Letter writing, telephone calls, and modern technology are important tools for the long-distance grandparent. Ideas for long-distance grandparenting are limitless. Think modern, use your imagination, and in turn establish a bond and build relationships with your grandchildren that will last a lifetime.